Guys, now I’m a China phone-- Meizu M9 for you , hope you can like China phone more. First of all, when I open the box ,finding that the M9 packaging following the current international trend, into a long strip. All the black body can be seen after opening the white packaging of it, cover the box there is also covered with a thin plastic foam to protect the fuselage. Standard cable, 1A current charger, 1370 mAh battery, but no headset (Meizu M9 said customers can receive EP20 scheduled headset). There are also screen cleaning cloth, warranty certificate, customer address books, and Quick Start Guide. It is worth mentioning that the packaging of these components are doing very fine, especially the battery protector. M9 with black plastic body, weight be 123 grams, just got my feeling with a medium size, lack of texture. The front has the "Back" and "menu " of two virtual keys with backlight and a plastic HOME key, feel moderate. Top of the screen is the new logo and the speaker, there is also not easy to directly see the light sensor and distance sensor. Its screen is applied from the Sharp ASV technology, 960 × 640 pixels, 16 million color, 3.5 inches, and the iPhone 4 of the screen resolution, same size. It's behind the battery cover is matte texture, the groove can be removed from the top, you can see the microSD card slot opens, SIM / USIM card slot and battery compartment, there may be noted that there is no built-in LED flash Meizu M9, storage, Memory Card is hot swappable, which up to 32GB. Remove the battery cover, however, I found that the power button and volume buttons and battery cover are also in one, and was removed, and exposed is metal contacts and keys,which I think impact aesthetic. The headphone jack was listed at the top, external stereo speakers are listed both on the right and left sides ,rather at the bottom position of the speakers. Which make me feel better to watch cross-screen video or playing games . Under the fuselage side is the miniUSB interface and microphone. The core of the hardware configuration is 16 million color 3.5-inch 960 × 640 pixels, ASV screen, 1GHz Samsung S5PC110 (GPU for the PowerVR SGX540) CPU, 512MB of ROM and with a RAM, comprehensive ranking of the Android already started selling one of the best phone. M9 do not use large-capacity flash memory, MEIZU distinction 8GB, 16GB version is actually the standard microSD cards random capacity. I concerning most about the screen is the hardware configuration. 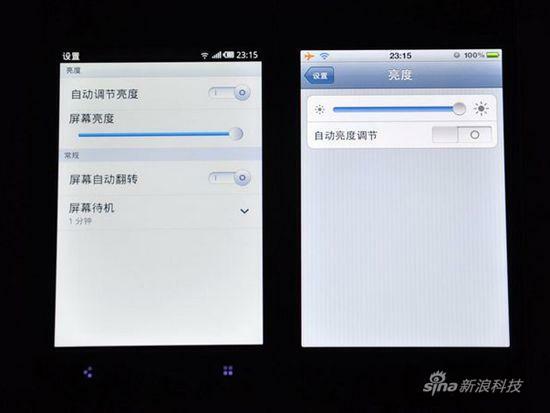 And compared to iPhone 4, the two are the same fineness, it can be seen under the M9 through the screen colors warm, iPhone 4 of the IPS screen, viewing iPhone is better. In the sun, the screen will be transferred to M9 brightest, you can completely see the display on the screen. Another concern is that software compatibility, just as 960 × 640 pixels just four times as a traditional the 480 × 320, there is no problem for most Android programs’s compatibility. The biggest problem is that there is no resolution of a special production for the M9 Android program, point of display, we’ll be very pleased about the screen whatever using a game or application software. About the camera , 500 megapixel , default focus for the center of the screen, support for touch-focus, photo effect is in general. Tal k about the network, Meizu M9 support China Unicom's 3G standard, WCDMA, compatible with GSM, with data transfer mode for the GSM / GPRS / EDGE / WCDMA / HSDPA / HSUPA. Using the 3G network, the network support "3.5G" HSPA place, M9 signal processing will be displayed as H, or is still 3G. M9 also offers Wi-Fi and WAPI, 802.11b/g/n. The Bluetooth part, which is 2.1 plus EDR. Meizu M9 Android 2.2 is used in the operating system, but for a relatively large system changes, either UI or functionality of the services. User interface, M9 followed M8 main styles, including unlocking and most menu interface. Such as File Manager is also the tree style. 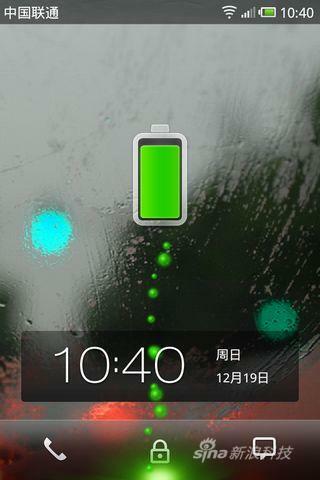 About the services, M9 built-in Google Maps, Google talk, "News and Weather, " and even the electronics market. But electronics market seems to be simplified or made some restrictions, many programs are not search inside. After the Google Account login can use these services. However, the account in the settings menu option in the user can only use Meizu account, there is no Google account entry. While, as an Android 2.2 phone, Meizu M9 support Exchange, and by manually set the Gmail account to Exchange, you can sync contacts and push Gamil. Meizu M9 comes with a "Software Center", which now has dozens of various categories of application or game can be full screen on the M9 normal use. In fact, these applications are not being specific version of the M9, such as Sina microblogging software center we do not use it to download the latest version of the 2.1.3 version, is completely normal use. 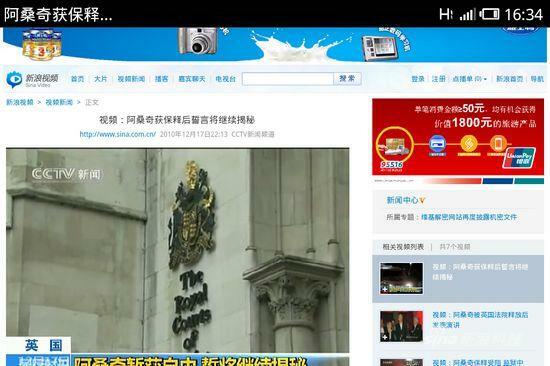 The M8’s screenshots features was retained on the M9, which is most Android phones are not. In addition there are some in the music part of the human details, which we referred to the next page of multimedia. M9 audio and video functions are much better than the current all Android phones. First, the music part ,in the addition to supporting FLAC, APE, MP3, OGG, AMR, AAC format, it supports download album art and lyrics, to edit the ID3 information automatically. M9 also added the "online music " There is also support new song online music tools and other ranking list, besides these, the user's sharing features also included .It is completely free. Meizu M9 in the video, supports AVI, MP4, 3GP, MOV, MKV, FLV, Meizu M9 speaker volume and sound quality were made on both sides of the performance that is pretty good for its multimedia capabilities. In addition, the Meizu in UI design for the optimization of music did a few details: Double-click the HOME button to display the recently opened program, will also have music control functions in the lock-screen interface can also double-click the HOME button to open the music control. About the message fact, a continuation of the dialogue text mode, support for four new background color adjustment. M9 built-in virtual keyboard input method , the misuse rate is almost not there, including the Simplified Pinyin, simplified and simplified handwriting stroke mode, the A and Z on the keyboard this is a staggered rather than a position to adapt to After the like. Meizu M9 is a right choice for me ,also for some students. Because this phone not only perform excellent but also with a cheap price. Now this phone sold very hot in China, I have waited one month for its coming, now people only can wait for the third preoder. While there are some internet retailer offer online pre-order. Although the review is really well made (and i thank you for this) we can't accept direct contribution from sellers. I'm going to insert you in the list of sellers but, please, don't post links anymore. Per doverosa chiarezza nei confronti degli utenti, spiego che l'autore di questa recensione è un rivenditore, quindi prendete le informazioni con la dovuta accortezza. Come ho già detto per me questo telefono è veramente bello. In QUESTA foto però il telefono ha un'estetica diversa, decisamente migliore.